On February 26, 2016, an earthquake of magnitude 4.0 struck about 31 km (19 miles) east of Jackson, WY at about 5:00 PM local time. The quake was reported felt by over 150 people in the Teton region. There were no reports of any damage. The earthquake occurred in the Gros Ventre range east of Grand Teton National Park near the location of previous seismic activity. In 2010 there was a swarm of earthquakes, including a M4.8 earthquake, ~11 km (7 miles) north of this event. The Teton region is part of the Intermountain Seismic Belt, a region of relatively high seismicity in the Intermountain West that extends from northern Arizona to western Montana. 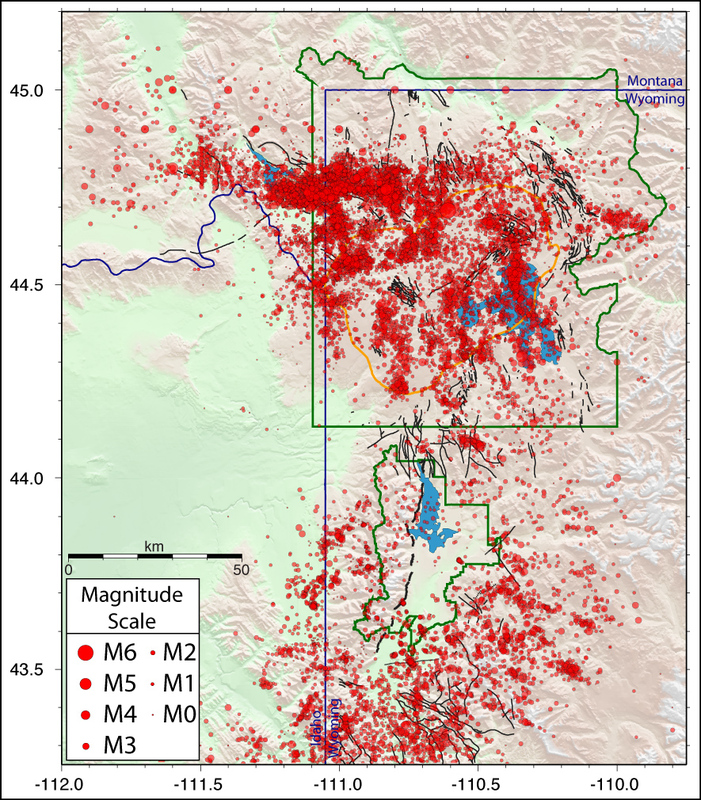 Most of the seismicity in the Teton region occurs east of Grand Teton National Park in the Gros Ventre range while there is very little earthquake activity on the Teton Fault.